Never were there two brides that were sweeter. 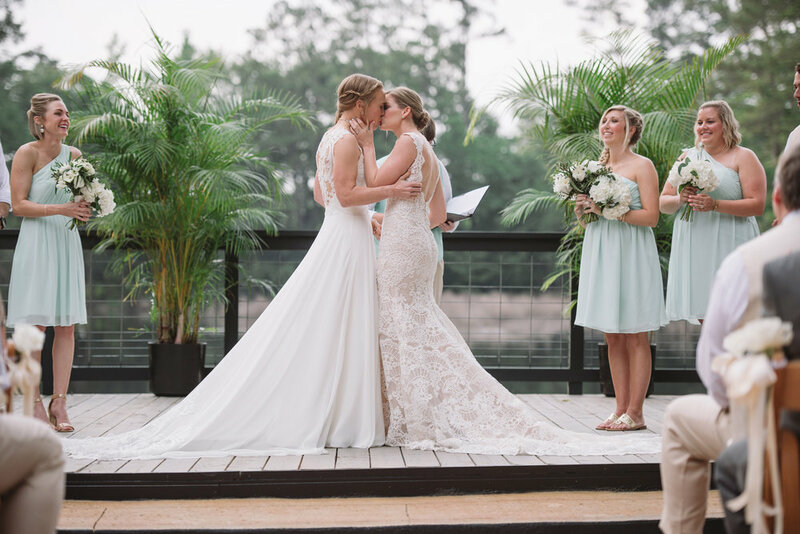 Two beautiful women said “I do” at Adam’s Pond, and we were so happy to be there for it all. Shandon and Rebecca are both just so beautiful inside and out. Special thanks to all the wonderful artists and pros involved. Here’s just a few favs! Julia and Andrew had such a sweet romantic wedding day. We loved her simple and stunning gown complete with a cape passed on from other female family members. Her flowers were exquisite, and we couldn’t get over how beautiful Fern Studio made the vault doors at 1208 Washington. Here are just a few favorites! Shannon and Clint could not have chosen more beautiful locations. If you’ve never had the chance to visit Hotel Domestique, you need to go right now. It’s a boutique hotel just outside of Greenville, SC. While it’s not much out of the way, you’ll feel as though you’ve journeyed to a french estate. We started the day there with a sweet first look, and light and airy portraits. I think the only place that could top our starting point would be The Cliffs at Glassy Chapel. With a beautiful ceremony, and sunset portraits overlooking South Carolina’s upstate, it was a perfect day.